Dr. Heitz is an Emergency Physician at Lewis Gale Medical Center in Salem, Virginia. 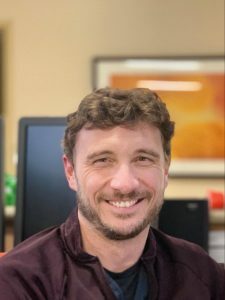 He has almost a decade of experience in academic medicine, having spent time as faculty at the Virginia Tech Carilion School of Medicine and residency in Emergency Medicine where his roles included serving as the clerkship director for EM and simulation training for residents. He has a background in faculty development as well as both educational and clinical research. Recent years have seen him transition to a primarily clinical role. He is the father of two amazing daughters and as often as possible enjoys the outdoor opportunities offered in the Blue Ridge region of Virginia. If you can’t find him, he’s probably on one of his myriad bikes.